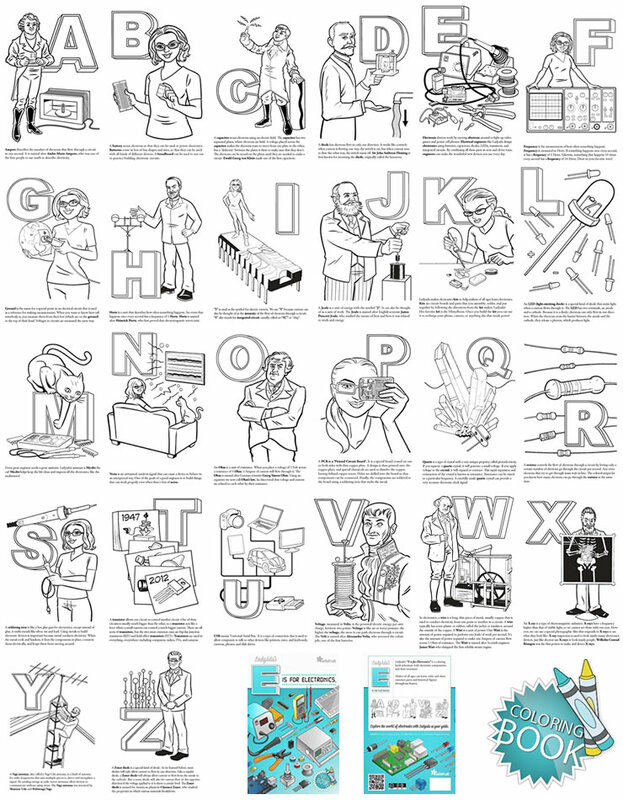 4 year old reading from “Ladyada’s E is for Electronics” coloring book (video) « Adafruit Industries – Makers, hackers, artists, designers and engineers! [Here is] My daughter, who is 4.5 years old, wanted to read from the coloring book as a way to say thank you! You may not always know it but this sort of thing will stay with her forever. Thank you! Turn up the volume, it’s not only super-cute, it’s the future, it’s inspiring. 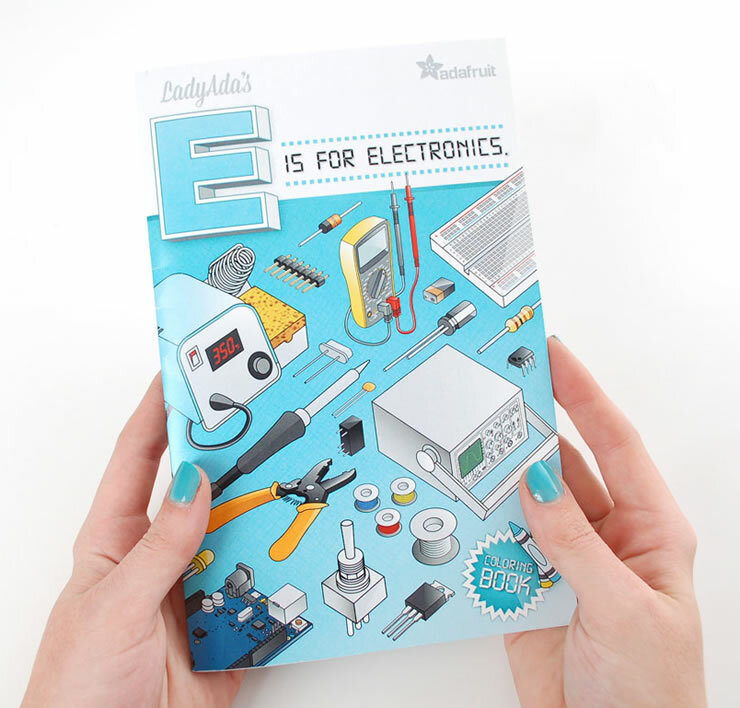 Ladyada’s “E is for Electronics” is a coloring book adventure with electronic components and their inventors. This is the first ever open-source electronics coloring book! Adafruit’s coloring books are manufactured in the USA by a family owned and operated business, we use non-toxic soy based, water soluble and environmentally friendly printing supplies. The equipment used is solar powered! Adafruit knows you have a lot of choices as to where you spend your money and time, we hope our open-source values, commitment to green technologies and partners in the USA helps make the decision easier and fun! Crayons not included. Wow, that’s just brilliant. And yes, very cute. I bet she’ll be soldering stuff up in no time!